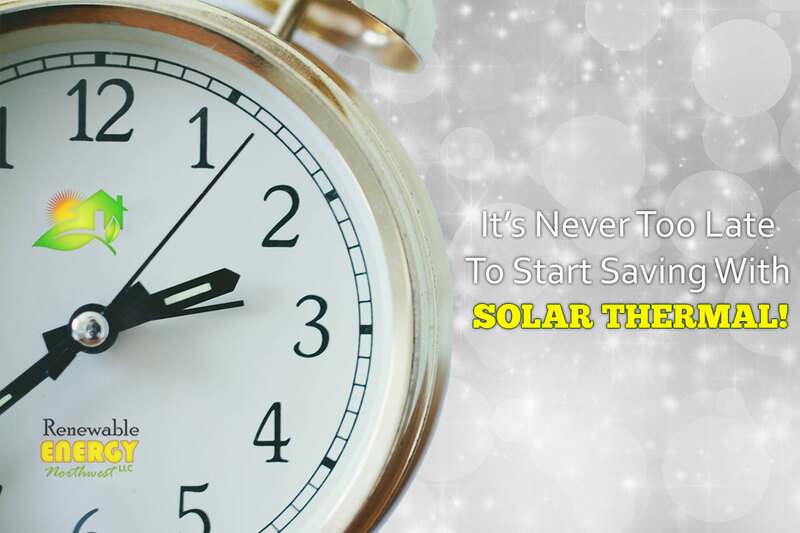 It’s Never Too Late For Solar Thermal! You’ve already noticed the temperatures dropping and the days getting shorter; according to the old farmer we’re in for another hard Winter in the Northwest. So you may be thinking it’s too late in the year to start that solar thermal project you started checking out in Spring – but it’s not! In fact, we likely have a couple of months of easy installation before the elements become a factor for our team and we can even still handle new jobs into the icy season. What if you’re not building new? No problem! While it’s definitely easy to install our solar thermal in new construction we can retro-fit existing homes without any issue. Roof space isn’t a problem either as we are able in some situations to mount our evacuated tube vertically to save room or to capture optimal UV. But what about snow? And less sunshine? Winter is coming! We’re happy to say that even during the “snowpocalypse” of 2016-2017 we only had a few service calls for clearing snow, and no real outages. While it is true that your solar thermal tubes will be receiving less direct sunlight during Winter since our systems are so highly efficient you’ll have no trouble having plenty of hot water for your home. You see our systems work on radiant ultraviolet energy; this is available even on cloudy days so you will have no troubles during the cold months. Breathe easy – Renewable Energy NW has you all taken care of! We’ve been the Northwest’s source for affordable solar thermal and whole home holistic energy solutions for almost a decade and have over 1,000 panel installs under our belt. We love helping homeowners save on the energy costs and business owners too! Please don’t hesitate to get in touch with us if you have questions, we’re glad to talk or provide a free estimate for your specific energy needs! 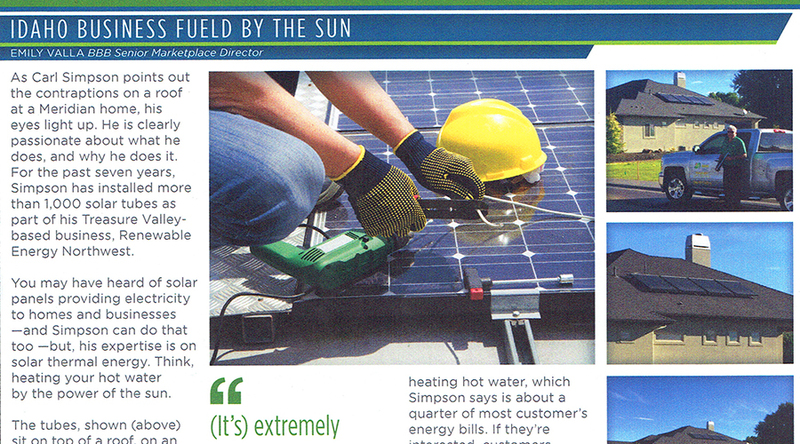 Renewable Energy In The News! It’s no secret, we love what we do and the people we serve, and while we don’t do it for the praise we’ve got to say it feels especially great when we get a little extra recognition for all of our hard work. We had the chance to speak with the kind folks at the Better Business Bureau Snake River Region about our services – you can read the full article here. Over the 7 plus years we’ve been working in Idaho we’ve install over 1,000 solar thermal tubes all across the state from single family homes to huge multi-acreage farms and even radiant heated snow melting walkways – it’s been an exciting trip so far! You may be surprised to learn that many of our customers don’t always start out knowing a lot about solar power, much less the solar thermal systems we specialize in; most times it starts out with curiosity and a question: “what is that? how does it work?”. In very basic terms, the tubes sit on top of a roof, on an exterior wall, or even on the ground, and absorb energy from the sun. The unit itself has two glass tubes with a vacuum in between; the ultra violet rays go inside the tube, and (the inside) can be 400 degrees in an hour even at negative 30 degrees, while the outside remains completely cool to the touch. This solar heated water is stored in your hot water heater and is ready to use throughout your home at any time – whether it’s for washing dishes or soaking in the hot tub – just like your normal hot water would be. Don’t panic! While we love installing solar thermal in new construction we’re more than experienced in retrofitting older homes and businesses with solar almost as easily. Beyond environmental considerations, one of the reasons people are most interested in going green with solar is of course the savings on energy costs. You’ll be glad to know that our solar thermal systems generally run around 94% efficient and even our most basic setup can usually cut your heating costs by 1/4th or more especially when installed along with other green solutions like solar attic fans and solar pv. If you’re considering a switch to solar we’d love to talk to you! Go ahead and do a little homework, shop around, and give us a call when you’d like to talk or if you just have questions – one of the things we love about our business is the fact that we get to talk with so many different people while we spread the good news about renewable energy in Idaho! 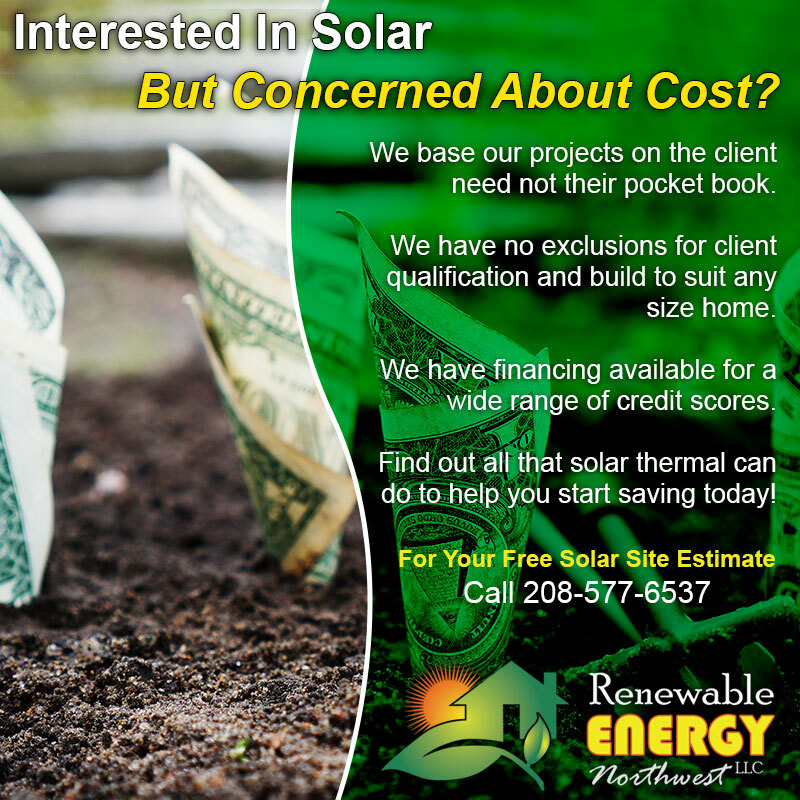 Get your FREE solar site estimate call 208-577-6537 today! Old man Winter made himself known in a big way here in Idaho as most of you in the Northwest know! Record snowfall brought FEET of the powdery white stuff to our region, putting a halt to business as usual for a lot of folks – unless they were selling snow shovels and ice melt salt! 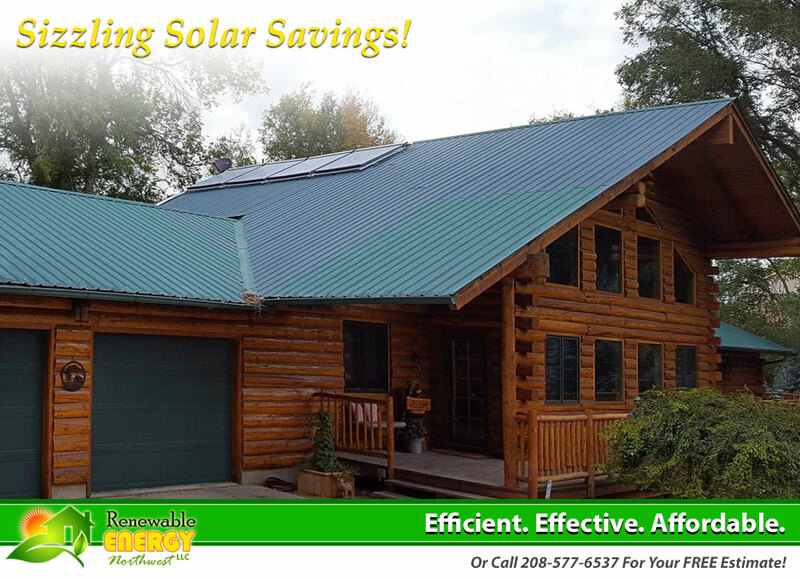 One group of people who had a little less to worry about this season were our radiant solar heating customers! Those who make use of solar thermal for ice melting walkways like our good friends at NNU had plenty of time to enjoy toasting their toes instead of shoveling snow. Even our customers who used the power of the sun for radiant solar flooring were snug as bugs as they enjoyed the benefits of lower heating costs throughout these coldest of months. Keeping the snow away and your ten little piggies warm is just part of what is possible though! Through our solar power partners we are one of the few green energy companies who can provide a truly holistic whole home solution for your energy needs. And it’s not just for the house – if you’re in the ag industry, or any industry that relies on hot water we can help you cut your energy bills in half! – call us to find out more! The incorrect assumption that a large investment is needed is one the primary reason why solar energy is not still not used by many people all over the world. Not only is this idea not right in regards to what solar PV (used primarily for solar power) offers but it’s even less true about solar thermal. Now, that’s not to say that it’s 100% free or that there are no up-front installation costs involved, but it is to say that this isn’t your grandpa’s old solar array. 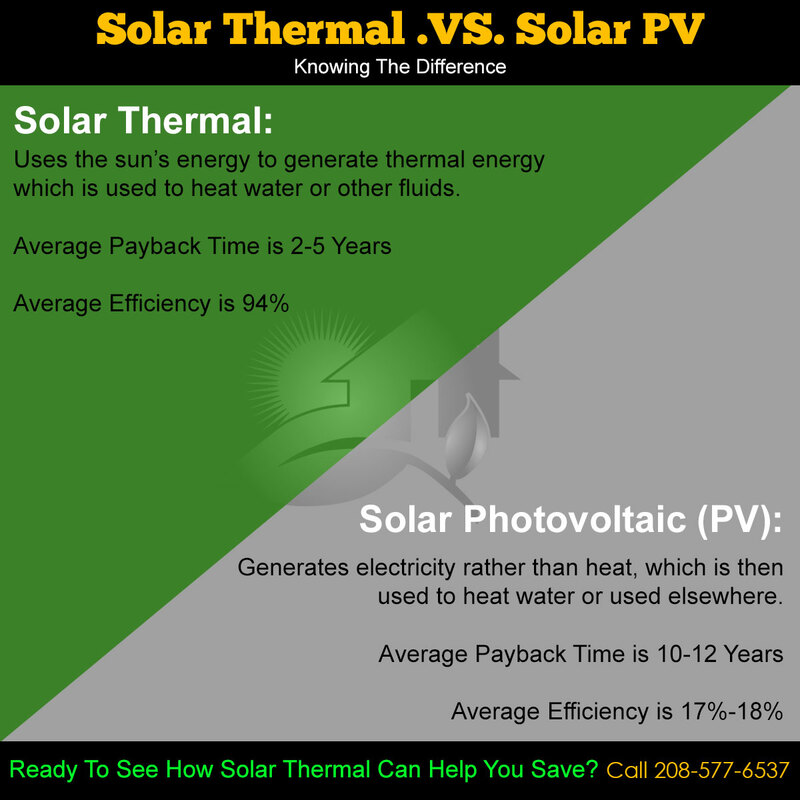 For instance, did you know that solar thermal can pay off in 3 years against natural gas, 2 years versus electric and 1 year versus propane? True story! Effective. Efficient. Affordable. Sound too good to be true? It’s SCIENCE! Are you ready to see how solar can help you save? 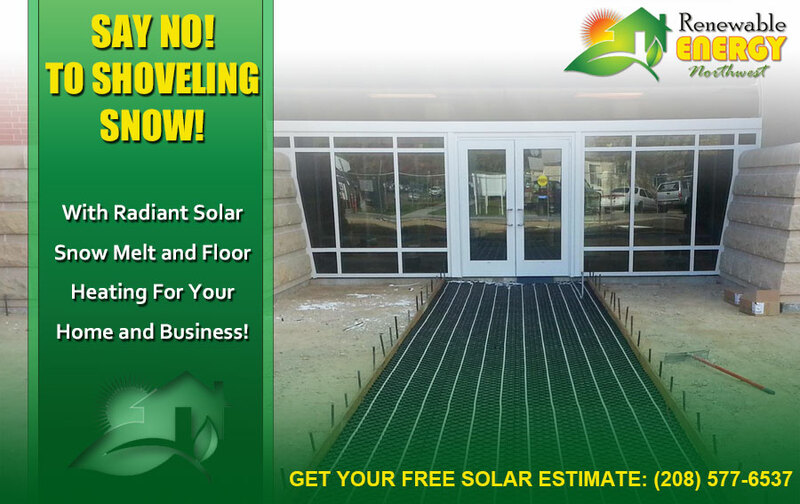 Give us a call today at 208-577-6537 for your FREE site estimate!